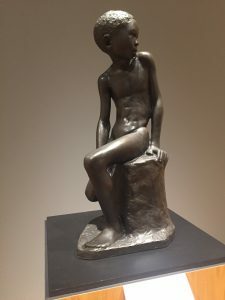 Toes together, fingers splayed and crisscrossed over chest, the bronzed boy stands looking down. The hunch of shoulders and twinkle in his eye portend the anticipation radiating from his grin. You can feel, he’s ready for lift off. 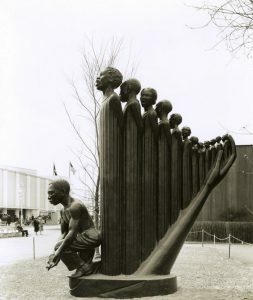 The piece is by the brilliant sculptor, educator and activist, Augusta Savage, who was one of the Harlem Renaissance’s most important figures. Unfortunately, her contributions that were fundamental to cultivating some of the most influential black artists of her time have been largely forgotten. 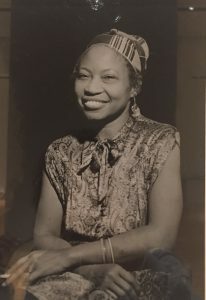 She mentored the likes of Charles Alston, William Artis, Romare Bearden, Robert Blackburn, Selma Burke, Ernest Crichlow, Gwendolyn Knight and Jacob Lawrence. Some of Savage’s most compelling work are her depictions of black children. Countering the cartoonish demeaning portrayals of black youth that dominated her time, Savage took great care to sculpt the youthful impishness of black childhood. The Harp (Lift Every Voice and Sing). 1939. 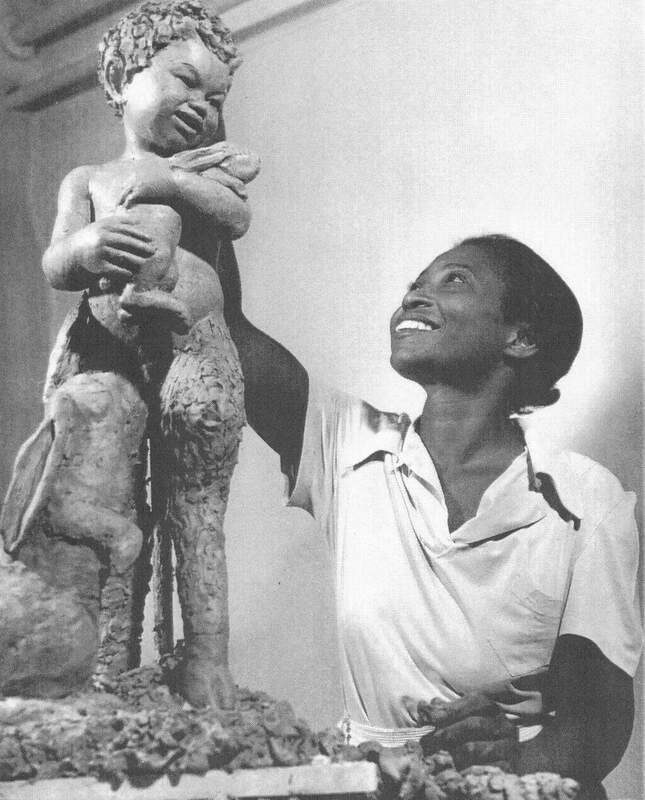 In 1939, Augusta Savage was the only black woman commissioned to participate in the New York World’s Fair. She built a towering 16-foot sculpture depicting a black youth chorus that was inspired by the black national anthem, Lift Every Voice and Sing. Sadly the piece was destroyed after the festival due to a lack of funds to cast it in bronze. 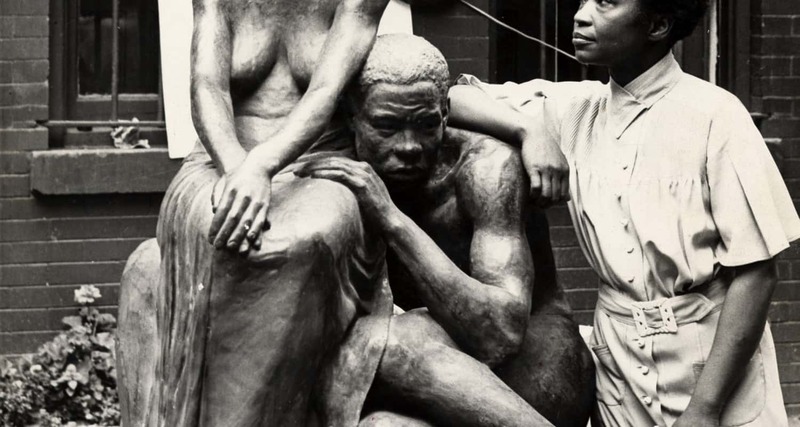 Upon moving to New York she opened her own studio, and later founded the Harlem Community Art Center, a free studio sponsored by the Federal Art program with support from First Lady Eleanor Roosevelt in 1937. Savage’s model of community art programs whose mission was to cultivate young artists served as the model for community art programs across the country.